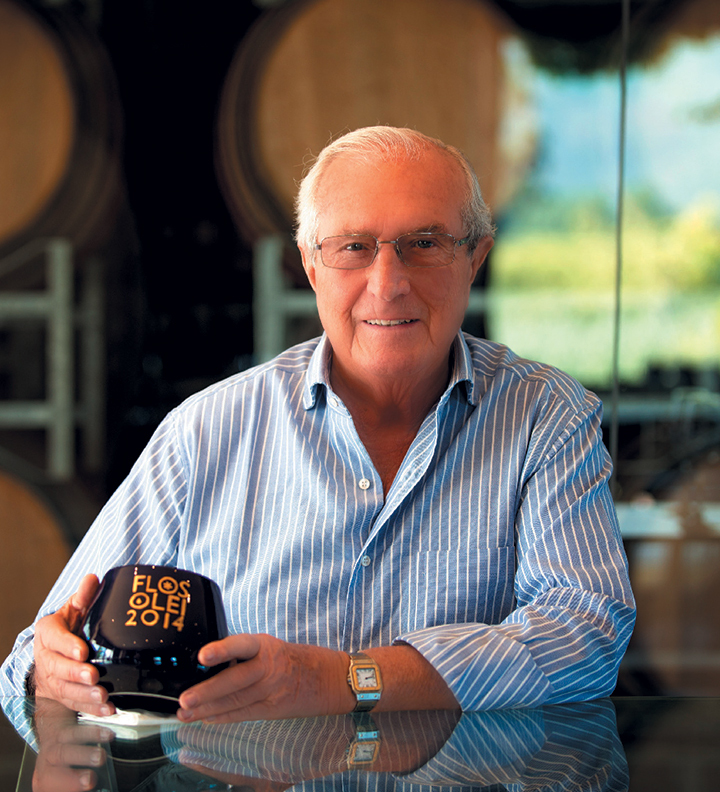 Giulio Bertrand, owner of Morgenster Wine & Olive Estate in Somerset West, was born in Biella in northwest Piedmont, Italy. From 1975, Giulio visited South Africa four times a year to oversee his two textile factories in the Eastern Cape. In 1992, he bought Morgenster. His first step was to restore the manor house, which had been originally built in 1786. Then he turned his attention to the “hill” in his backyard, which reminded him strongly of his native Piedmont, and he found that Morgenster’s terroir was well suited to red wine grape varieties, as well as olive production. That prediction proved true with the estate collecting many awards for both its wines and olive products. In his spare time, Giulio enjoys scuba diving, as well as yachting. He has two daughters and four granddaughters, and he divides his time between Italy and South Africa. How did you feel when you first laid eyes on Morgenster? It was love at first sight! I have never felt so attracted to a place like I was to Morgenster. It inspires me to keep inventing something new. I’m always looking to the future. The plan was just to make some good Italian-style olive oil for my salad and nice wine to enjoy with my dinner… but now look! Can you describe what kind of wine the Vermentino grape makes? Vermentino yields a summer wine that’s a real crowd pleaser. Easy drinking with an interesting, aromatic flavour profile, it includes the best characteristics of the better-known white varieties grown in South Africa. The vermentino clones planted at Morgenster originate from Sardinia and flourish in SA’s climate. All the wines in the Italian Collection are opera-themed, as opera has always been one of my great enjoyments. Italian passion and flair are world renowned, and when I decided to launch the wines, I brought together two of the great symbols of my Italian heritage: wine and opera. Giulio Bertrand sadly passed away on 20 May 2018.